Isabel and Anna have been best friends forever. But when Isabel meets David, Anna’s husband, she can’t help but be drawn to his charismatic personality. Though she hadn’t set out to betray Anna, denying her growing feelings is becoming impossible. As summer draws to an end, Isabel has to decide if she should pursue David. But what does he want? Would he really leave Anna, or is he going behind both their backs? Anna, on the other hand, begins seeing a therapist to deal with her jealousy and mistrust; she has long suspected David of seeing other women, but he has always vehemently denied her accusations and grown tired of her suspicions. Can Anna trust her husband implicitly? She has been so confused and muddled lately, she hardly recognizes herself. But she loves David and is committed to a future with him. Or is she? And what lengths is she willing to go to keep her husband? And David, what are his real motives and feelings? Does anyone know? 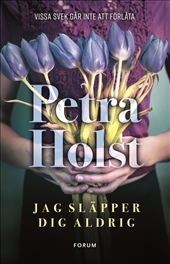 Scandinavian, dark women’s fiction, perfect for fans of Shari Lapena and B.A. Paris.